In a large skillet, cook the bacon over medium heat until crisp. Transfer to a paper towel-lined plate to drain. Let cool. 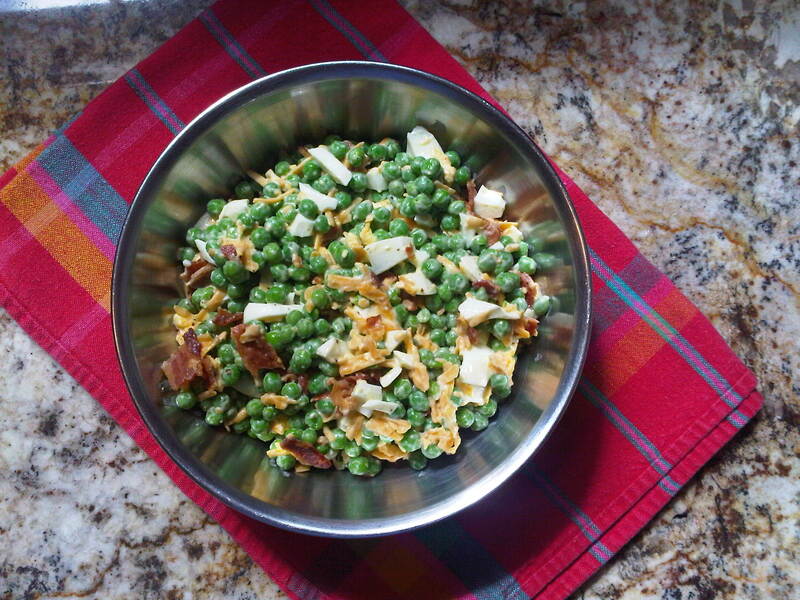 In a medium serving bowl, combine the bacon, peas, cheese, and eggs. Stir in the mayonnaise, lemon juice, and salt and pepper, to taste. Serve immediately or refrigerate until ready to serve. Artist to watch… Kenn Backhaus! Pomegranate Juice… Seriously good stuff!